This World Teachers’ Day, we are celebrating the graduation of yet another teacher, Nomfundo Silwana who matriculated from LEAP Science and Maths school in 2007. Nomfundo enrolled in the Global Teachers Institute (GTI) Future Leaders teacher training programme completing a B.Ed. degree through UNISA. 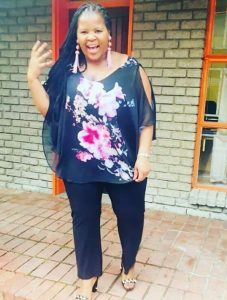 19 October 2018, will mark a celebratory milestone for her as she graduates from the programme and becomes a full-time teacher at LEAP 1, Langa, the same school that cultivated her interest to peruse a degree in Education. “I developed my interest in teaching from my high school teachers who were very passionate and dedicated to helping learners to grow emotionally. That experience shaped me and helped me improve my results and look at life from a different perspective. I then wanted to give back to others as I believe sharing is caring, “said Nomfundo. The Future Leaders Programme allows young people from under-resourced communities to study towards a university degree while at the same time obtaining practical work experience in schools. 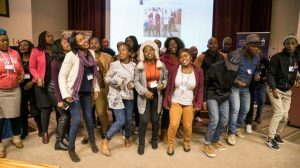 Nomfundo explains that from the programme she has learned so much about instructional teaching through the various programs offered by GTI like the Axis Summit that allows for collaboration with teachers from all over South Africa and around the world. She said her message to aspiring teachers who wants to join the Future Leaders Programme is to be ready to leave behind the shell and comfort zone and be prepared to learn, unlearn and relearn. Dedication for your studies is essential, seeking help and openness to own struggles will develop you as a teacher. Do not wait for opportunities to come to you, create opportunities and if they become available then grab them. Lastly, be ready to lead, be ready for challenges and do not be a follower. Nigel Richard, GTI Managing Director, said that GTI acknowledges the amazing work Nomfundo has done with a Future Leaders Programme (FLP) as a site manager and her new appointment by LEAP to lead the Life Orientation department while teaching IsiXhosa to Grade 8 & 9 learners. GTI is proud to have had Nomfundo as an intern teacher and we offer her our congratulations on this exciting achievement.